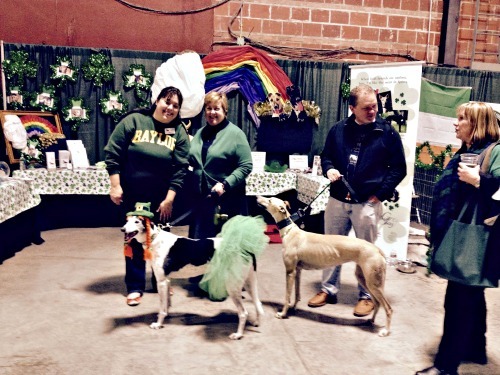 Irish Festival for 2015 was a huge success! 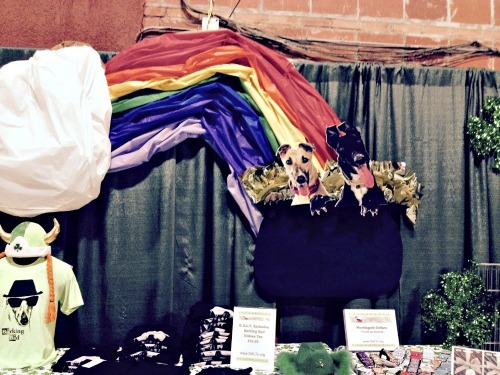 GALT again was located in the Centennial Building within the Cultural area. This year's decorations were updated with many thanks to Melissa Paar and Julia Dietsch! 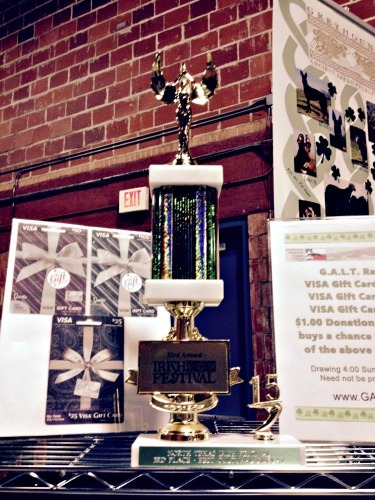 The results were GALT won Third Prize for Best Cultural Display for 2015. This brings to a total of four awards for Best Cultural Display won over the last 12 years: 2003 – 2nd place; 2009 – 3rd place; 2011 – 2nd place; and 2015 – 3rd place! 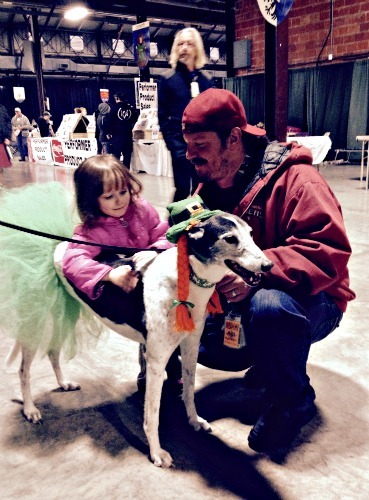 Sincere thanks also to the many, many volunteers who stepped up to help talk to the public about the joys of greyhound adoption and ownership. Everyone is looking forward to 2016 for sure!